If you are a PCs or Smartphone users we strongly recommended to take back up of your data. That way, if something goes wrong and you lost your valuable files, you can easily get them back. However, if you didn’t take the backup before and lost your important data there is still a chance to Recover your Lost Data with data recovery softwares. When files are deleted from your hard drive, you simply delete the listing directory for the specific file. The data remain kept on the disk and is not permanently deleted until new data is overwritten. Data recovery software is designed to scan for that hidden data and recover it as complete files. It is important to remember that there is never a 100 percent guarantee with data recovery software that you can retrieve all your files. Raw data can sometimes get damaged or incomplete during the process. 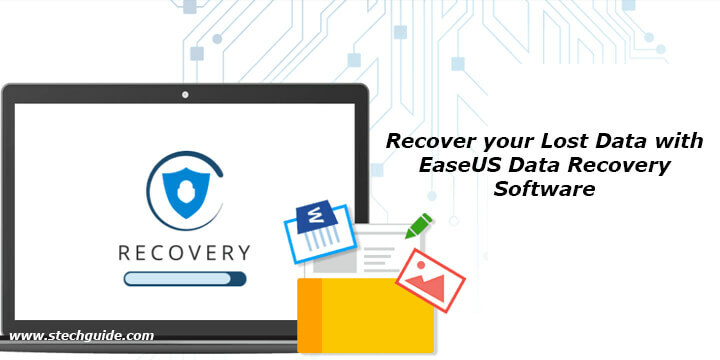 EaseUS Data Recovery software is one of the best data recovery software which can easily recover lost files, pictures, documents, videos, and more from deletions, formatting errors, partition losses, OS crashes, virus attacks, and other data loss scenarios. The software recover deleted files from all types of storage devices including PC, laptop, hard drive, SSD, USB, memory card, digital camera, etc. 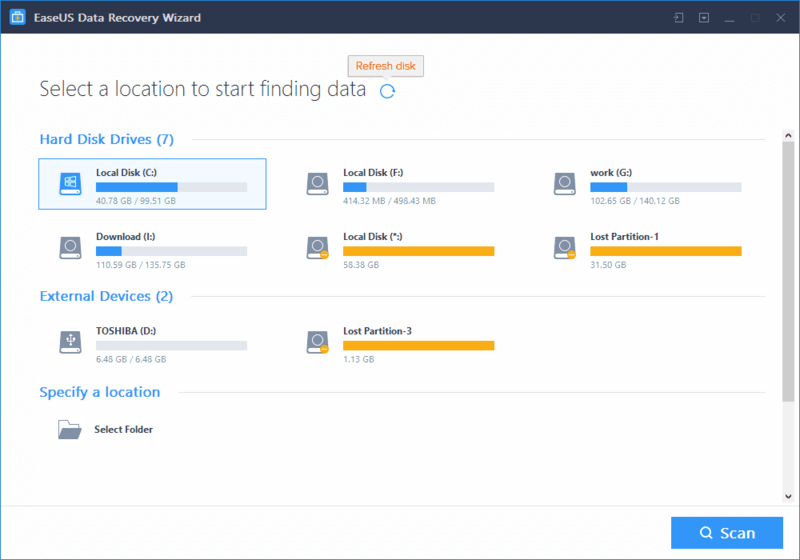 Check below How to Recover your Lost Data with EaseUS Data Recovery Software. 2) Install the software on your PC and run it. 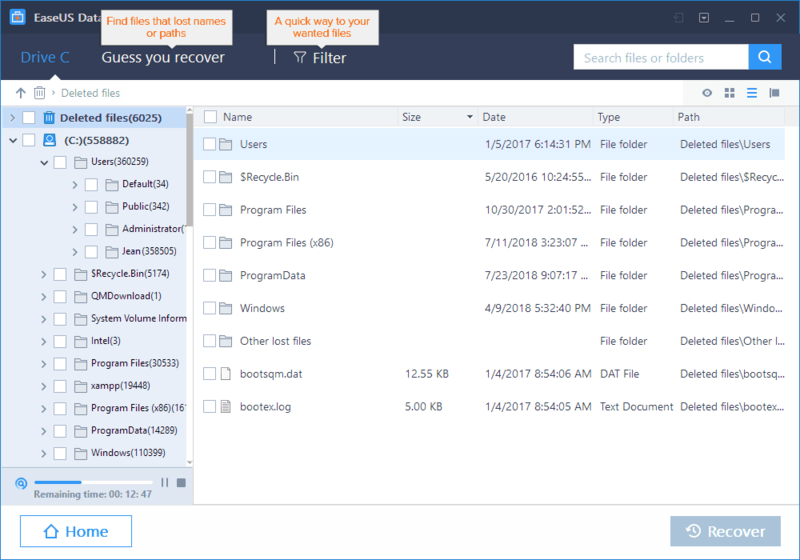 4) Scan the entire storage device: EaseUS file recovery software search for all your lost data and recover as much as possible. You will see “Deleted files” folder in the left panel. That’s where all deleted files and folders were kept. 5) Preview files and recover: in the “Deleted files”, find the wanted files by following its file paths. Or, you can use the “Filter” feature to locate the abandoned files quickly. Double-click the data allows you to preview its entirety. 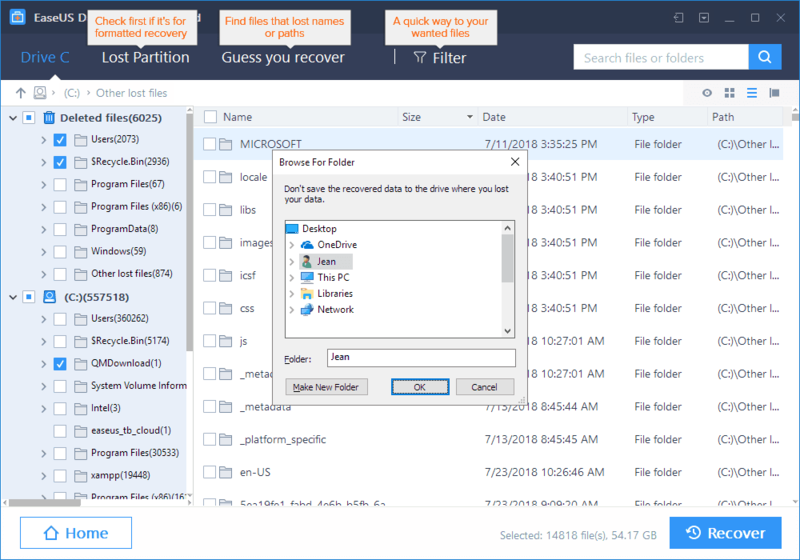 6) Choose all target files and click the Recover button to recover your lost data. 7) Done! If you won’t find your file check the scan results in each tab for deleted files. This the easiest way to Recover your Lost Data using EaseUS Data Recovery Software. Comment below if you have any doubts. Stay connected with us via Facebook, Twitter, and Google Plus to read more such helpful posts.